CheckWriters is a payroll and human resources technology company that has relied on us for all of their video, social media, advertising, and design work. From its inception, CheckWriters has been carving out its niche in a competitive market with some big name companies, which is why we wanted strongly emphasize what makes CheckWriters unique, preferable, and an effortless transition for business owners. 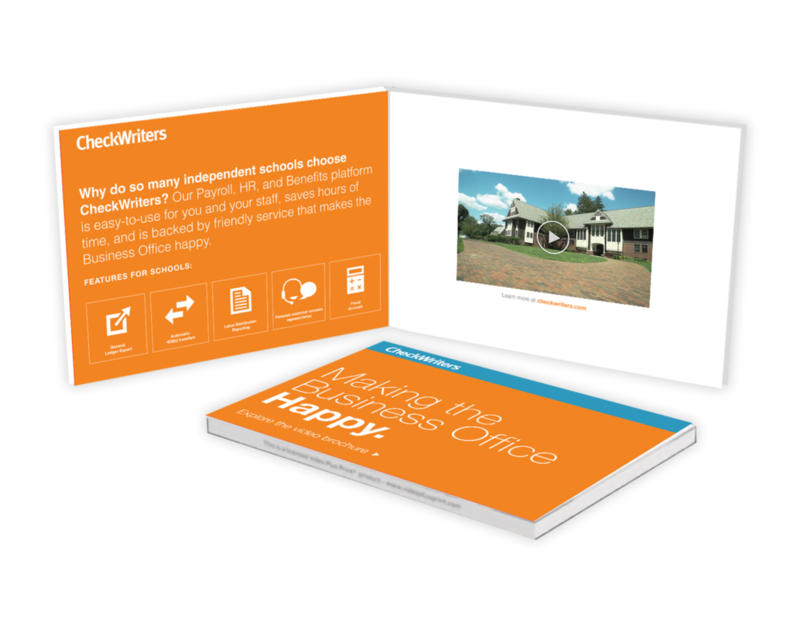 Our work for the company includes filmed testimonials, print ads, trade booth designs, and video folders mailed to prospective clients, all of which make clear how easy switching to CheckWriters truly is. And we targeted this content directly to specific markets the company needed to corner, which helped spread their message effectively and efficiently, without wasteful spending or excess.